Another Beautiful Day in Paradise. 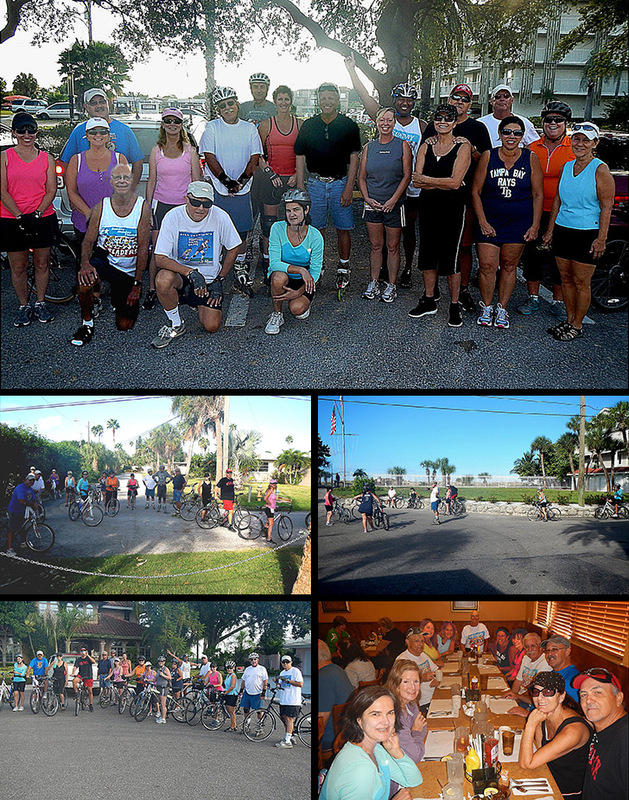 Skaters/Bicyclers Peggy E, Rob & Amy H, Dorey Anne, Dee T, Robert L, Terri S, Jim H, Laura P, Breeze, Ginny S, Rick P, Roy H, Patrice H, Karen T, Sue M, Bruce M, Steve G and Paula C came. Sue and Robert were new comers today. Welcome all. Sue and Patrice became Sponsors today. Thanks for the web site support ladies. We did our usual Clearwater Beach route plus about 2 more miles. Rob and Amy took us places we had not been to but were a great addition. Thanks Rob and Amy. We had 4 Bladers and 15 Bicyclers. Everyone did the 13 mile round trip. We Brunched at Georgie Boys Restaurant as planned. We got right in and seated at a big long table they put together for us. Service was good and the coffee flowed freely. We got in and out within an hour. Rob and others loved the Brunch. Rob rated his a 9.75.